An impasse over Medicaid expansion held the state budget hostage for months. In fact, as this issue went to press, the House of Delegates and state Senate still had not come to an agreement on its biennium budget. But while many major business initiatives such as health care, workforce investment and economic development marketing are wrapped up in the massive spending bill, many business-related initiatives already had been signed into law by mid-May. Other new laws are designed to help streamline licensure to address a statewide teacher shortage. Another law aims to standardize the transfer of college credits from community colleges to four-year institutions. Transferring credits from the commonwealth’s community colleges to four-year institutions is too complex, according to a report last year from the Joint Legislative Audit and Review Commission (JLARC). Virginia also is putting a major emphasis on improving the economy in its rural regions. New legislation will provide tax incentives to encourage companies to make major capital investments in rural and distressed regions. “This is designed to improve the economy in parts of the state that are economically distressed by providing tax breaks to companies for seven years,” says Keith Martin, executive vice president, public policy and general counsel of the Virginia Chamber. Legislation also permanently expands a moratorium preventing localities from passing their own regulations on unmanned aircraft vehicles, or drones. 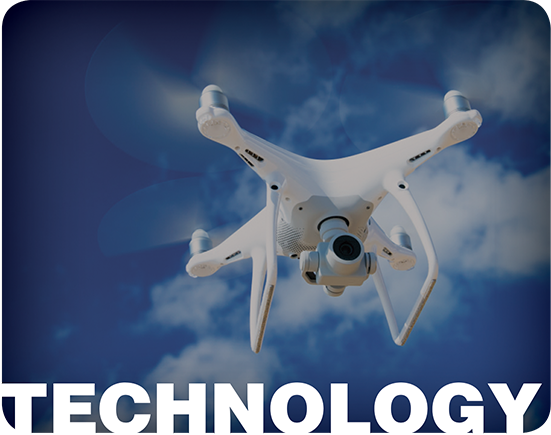 “That’s a new component of Virginia trying to distinguish itself as a real leader in drone governance and drone regulation and trying to help build our drone industry,” says Josh Levi, vice president of policy at the Northern Virginia Technology Council. After the budget bill passes, Virginia Business will provide an online update of items affecting Virginia businesses. The following are some examples of new laws affecting the business community. Directs the Virginia Board of Education to make recommendations by Nov. 1 on strategies to try to eliminate any stigma associated with high-school career and technical education. The board also is directed to consider the consolidation of the current standard and advanced diplomas offered in K-12 education, instead offering endorsements that recognize student competencies and achievements in specific subject matter. Several new laws attempt to address the teacher shortage in Virginia by streamlining the licensure process. HB 1125/SB 349 allows reciprocity for teachers with out-of-state licenses to receive Virginia credentials without requiring additional skills assessments. HB2/SB103 allows for reciprocity for any spouse of an active-duty military member of the armed forces. Requires the Virginia Board of Workforce Development to develop a strategic workforce dashboard providing information on state and regional labor market conditions, the supply and demand for workers, workforce program outcomes and the projected employment growth or decline in various industries. It also stipulates the Virginia Employment Commission should publish a list of jobs and trades for which a high demand exists or is projected. 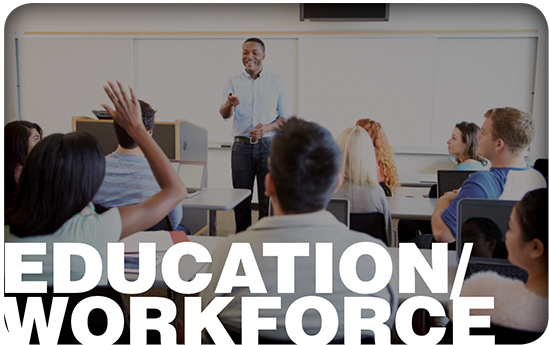 Requires the Board of Education to establish content standards and curriculum guidelines for career investigation and the development of resources about career and technical education. The bill requires middle-school students to take at least one course or program in career investigation. Aims to streamline the transfer of credits from community colleges to four-year public schools. The law will require VCCS to develop a one-semester Passport Program and a one-year Uniform Certificate of General Studies Program. These would be offered at all community colleges for credits that are transferable to Virginia’s higher education institutions and would satisfy general education requirements. The law also requires each of Virginia’s public four-year institutions to develop pathway maps that clearly identify courses a community college student should complete before transferring. The legislation is designed to help students take applicable courses and finish their degrees more quickly, saving time and money. Last year, a report from a JLARC study found that many community college students either didn’t complete their degrees or took too long to do so. Directs the Department of Planning and Budget to implement a three-year regulatory reduction pilot program. The goal is to reduce by 25 percent the regulations and regulatory requirements of the Department of Professional and Occupational Regulation and the Department of Criminal Justice Services by July 1, 2021. The bill also directs executive branch agencies to develop a baseline regulatory catalog for the Department of Planning and Budget, which will track and review regulations every four years. This legislation directs the Department of Taxation to study and make recommendations by Dec. 1, 2019, on the appeals process for the valuation of businesses’ real and personal property. The Virginia Manufacturers Association says that nine jurisdictions have forced businesses to use Circuit Courts or the Virginia Supreme Court to remedy disputes over real and personal property valuation. “This costs millions of wasted private and public dollars. There should be an administrative appeals process within the Virginia Department of Taxation or an alternative that would expedite cooperation among all parties,” according to a statement from the association. Creates an income-tax modification for companies investing in rural areas or “distressed” localities. Eligible companies must make a new capital investment of at least $5 million and create at least 10 jobs that pay at least 150 percent of the minimum wage in that locality or create at least 50 jobs that pay 150 percent of the minimum wage. The Virginia Economic Development Partnership will certify that companies receiving the benefit are making a positive fiscal impact on Virginia. The modifications can last six years after a company first receives the benefit. Applicable companies also are eligible for grants and loans of up to $2,000 per job per year from the Commonwealth’s Opportunity Fund. Extends and makes permanent the three-year moratorium on local government regulation of unmanned aerial systems in Virginia. The law also establishes criminal penalties for people who misuse the technology, such as invading privacy. Creates a chief data officer to promote open data in state government and sharing among state, regional and local entities and higher-education institutions. The idea is to improve delivery of services to taxpayers and find efficiencies. For example, better data sharing could help Virginia address the opioid addiction crisis, says Levi of the Northern Virginia Technology Council. “If you can start to better track information related to prescriptions, related to hospitalization, this could help demonstrate ways to tackle the crisis.” Funding for the position was included in both House and Senate bills but must be included in the final budget.